The best part of working in a bike shop is always when you get to deliver a new bike to its owner. Something special about getting a new bike, this never changes no matter how old or how many bikes you get. This week Girona Cycle Centre took delivery of the first batch of the 2019 Cannondale rental fleet. 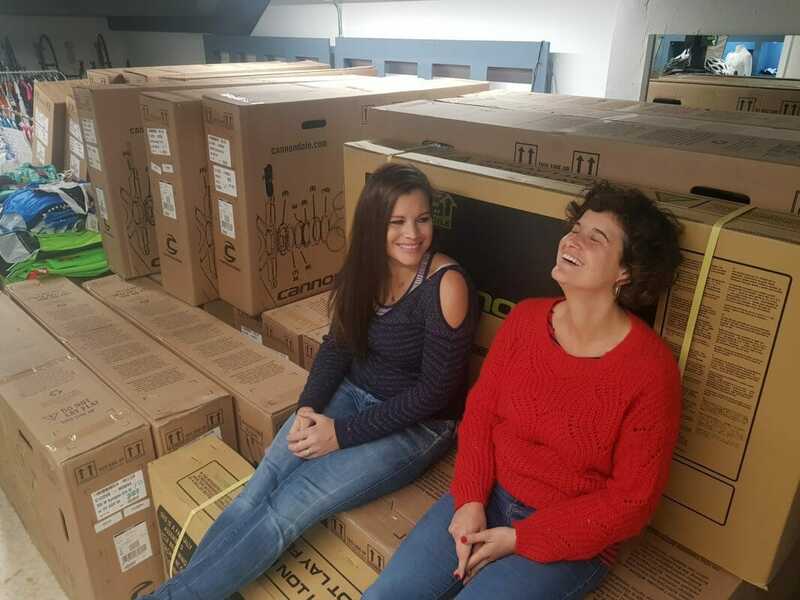 So a day when you get 150 new bikes is a very special day indeed. We are particularly excited about this years bikes, we have the new Cannondale Systemsix in two spec options as well as the new Synapse also in two spec options. For more details of the rentals click here to the Bike Breaks website. 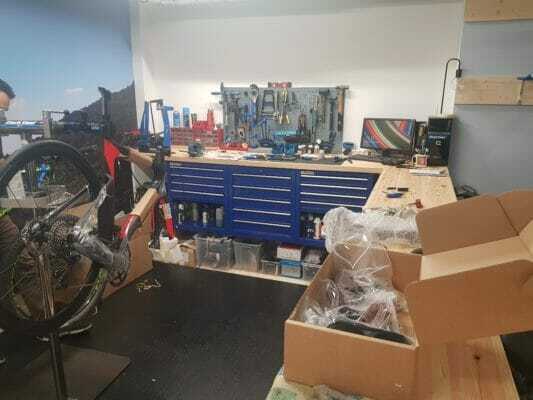 Now begins the task of building up all the bikes ready for the Girona Cycling season. Dave has already taken the Systemsix for a spin on the Bike Breaks shop ride selflessly testing the bike for our clients. You can read his opinion on the latest blog from the shop ride. Stand by for the next batch of bikes including the all new Gravel machine from Cannondale the Topstone which we can’t wait to see. Dieser Eintrag wurde veröffentlicht am Shop Rides. Setzte ein Lesezeichen permalink.